Shop BizSiteUSA.com and 1StopSquare.com at the SAME Time ! You only need to check out once ! 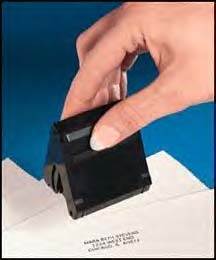 MINI 1 to 3 line Self-Inking stamp, address, return address stamps, or stock stamp Max. Print Area: 5/8"x1-5/8"-Varies by Font and Text . Model: Mini $15.99. 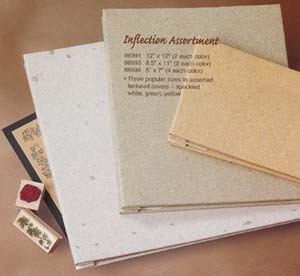 Personalize your Stationary and Office Correspondance with Address Stamps, Rubber Stamps and Embossing Stamp Seals. NOTE: This is a SMALL Ink Stamp - Lines that are too long or script text will NOT fit on these stamps. No Yes PLEASE NOTE: Normal font size for these address stamps is made according to default at our discretion unless otherwise noted. NOTE # 2: Leave a note in the Comments/Instructions Section when ordering so we may email you what the address stamp will look like & get your OK. If no request is left and your ink stamp is made according to what you ordered we will not be responsible for return. Enter your choice of fonts. If you are doing a monogram at the top, this will be the first line - enter ALL Text EXACTLY as You Want It To APPEAR . MAX Characters per line for this ink stamp with side Letter is 22 including spaces. Model: CR 170R Round Self Inker. 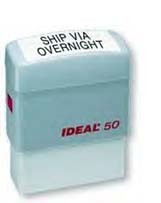 These compact, self-inking stamps have a round impression area and are perfect for smaller messages. They can be conveniently carried in your attach� case or pocketbook, so they are with you when you need them. THESE PRICES ARE ONLY GOOD Text Stamps. TO ADD YOUR OWN Art OR A CUSTOM LOGO FAX THE LAYOUT TO 815-675-2751 & INCLUDE YOUR NAME, PHONE AND FAX NUMBER. WE WILL RETURN A QUOTE WITHIN 1 BUSINESS DAY. 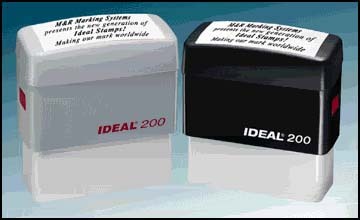 The Ideal Inspector Stamp is a handy stamp to carry in your attach� or pocketbook. This stamp has become a favorite with inspectors, notaries, and business people on the go. The stamp pad is hidden inside the stamp mechanism. PLEASE NOTE:Normal font size for these pocket stamps are made according to default at our discretion unless otherwise noted. Quick drying ink stays wet in a self-inker for 2-3 weeks. Copyright 1999-2018 Shop For Supplies, Inc. All rights reserved.